Anahi restaurant in Marais, Paris photographed by Alexandre and Emilie. Photo courtesy of Yatzer. 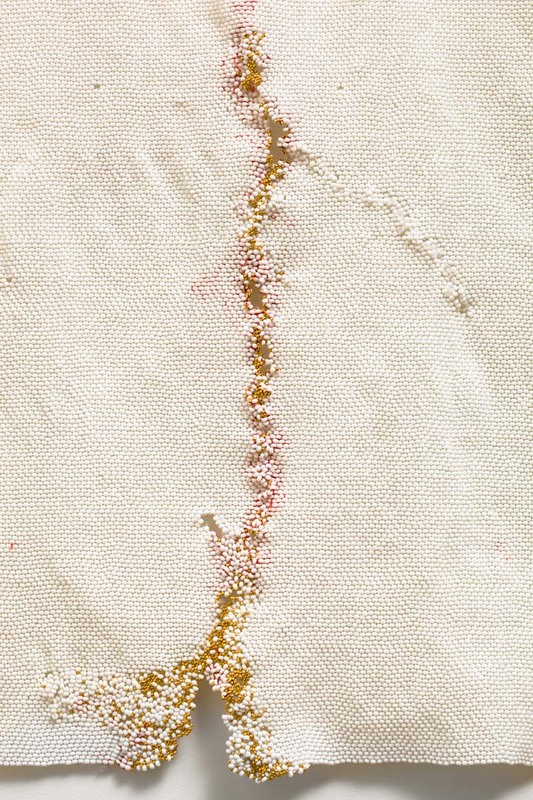 Kintsugi motif in Liza Lou's art. The detail is from the piece Pray, 2010-2011, made out of white and gold pleated glass beads. Photo courtesy of Liza Lou. Kintsugi is the Japanese art of repairing broken pottery by joining broken pieces with lacquer mixed with powdered gold. Literally the word kintsugi means “golden joinery”. In wabi-sabi spirit, breakage and repair are treated as part of the history the object, something to appreciate, rather than something to disguise. 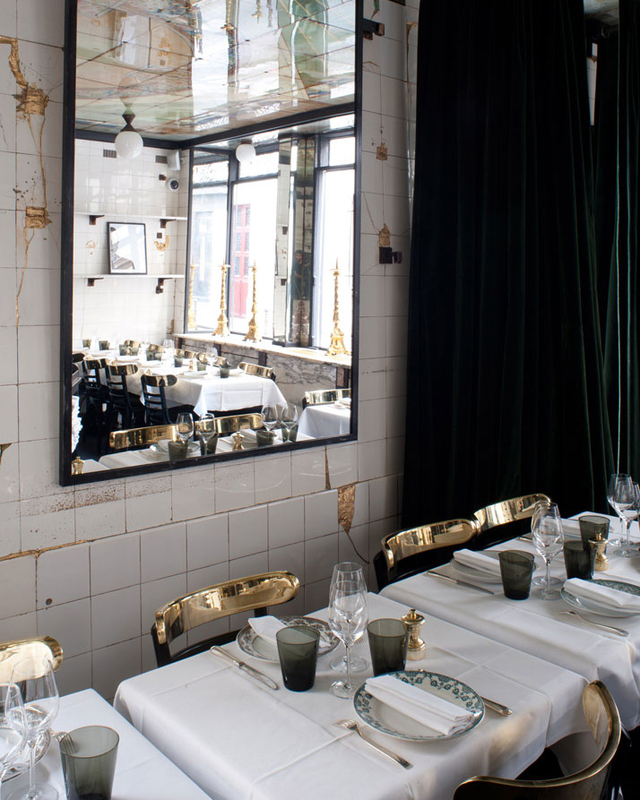 I found the most inspiring example of kintsugi in Anahi restaurant in Paris, where cracks and chips on the wall tiles had been filled with copper leaf. Unfortunately, Anahi does not operate anymore. Along with the beautiful space, the food was great. For a broken ceramic vase in my bathroom, I am going to try this Kintsugi Repair Kit.